The Zenith CH 650 is the new model of the ZODIAC kit aircraft series, optimized for the Sport Pilot category. The ZODIAC features a completely new wing design, landing gear and fuselage. The tail sections are the only components common with all ZODIAC models. 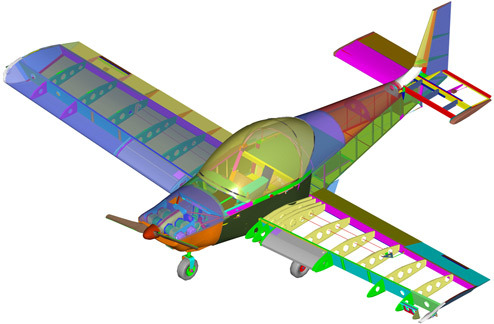 The CH650B design is the product of extensive research and development, and the result of professional engineering by Chris Heintz, a leading designer of light aircraft. The modern design makes use of advanced technologies, while using proven design concepts and simple systems for easy assembly and maintenance. A professional design, the ZODIAC structure has undergone a complete and rigorous flight test and design stress analysis, as well as load testing of critical components. Developed for the first-time builder and demanding recreational pilot, the ZODIAC aircraft is designed to be easy to build and to maximize flight performance and efficiency. Simple systems, modern materials, and design ingenuity minimize required maintenance, and make the ZODIAC simple to build and fly, affordable, and very durable… an aircraft you’ll be proud to own and fly for many years. While the Zenith design is new, the simple construction techniques that have made the ZODIAC famous have remained the same. In fact, many design features of the new Zenith CH 650 model make it the quickest and easiest ZODIAC model to build. The handling characteristics of the ZODIAC are very good and quite similar to the previous ZODIAC models, with just slightly higher roll control forces (this was predictably the result of a larger chord aileron). The new airfoil section is thinner than previous ZODIAC models, and was chosen for reduced drag (higher top end speed). Wing flaps were added to minimize stall speed with the new lower-drag airfoil. Following flight testing of the prototype ZODIAC XL by designer Chris Heintz, aircraft stability within the useful center of gravity (CG) range was found to be very satisfactory, and incipient spin tests did not show any tendencies toward a flat spin. Spin recovery is conventional and fast. 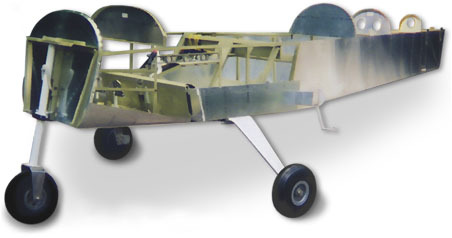 Throughout, construction of the ZODIAC kit aircraft is ‘modular’ – each section of the aircraft is built separately on the workbench. 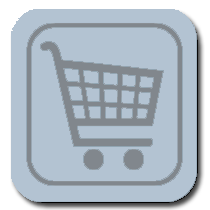 Many builders thus choose to buy ‘component kits,’ purchasing kit sections as they progress through the project. The modular construction of the kit means that required workshop space is minimal – most builders construct the kit in a single-car garage or basement workshop. Once all the airframe sections have been assembled, the wing and tail sections are bolted to the fuselage and the landing gear, controls, and fuel systems are installed. 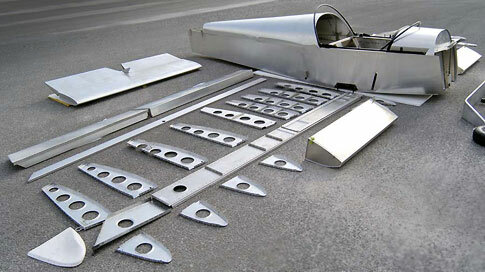 The wings are designed for easy removal for occasional trailering of the aircraft.